Idaho Department of Fish and Game is considering; Developing rules to allow use of bait to hunt wolves in game management units and seasons to be set by Commission proclamation; Notice of Intent Filing Jane 5, 2017. The War on Wolves continues in Idaho. Wolf hunting is legal in Idaho. Trophy hunts on wolves are about power not conservation. 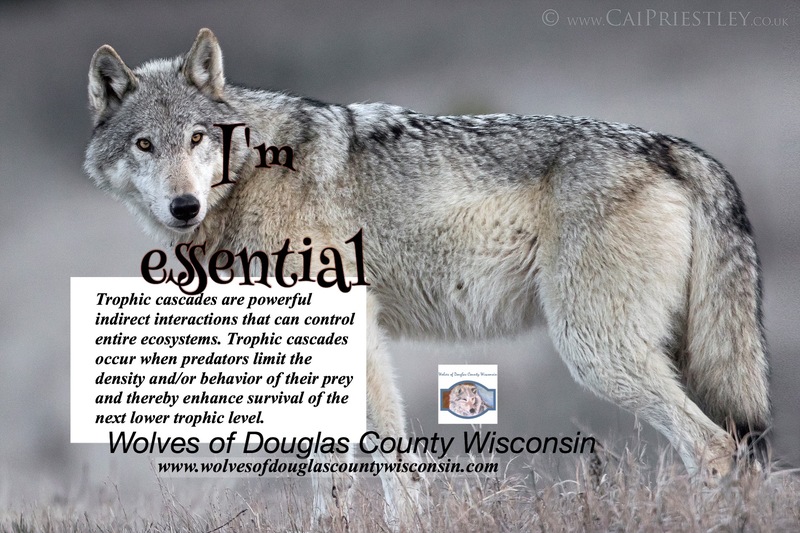 Wolves of Douglas County Wisconsin is against trophy hunting. Baiting wolves to kill them is totally unethical and unsportsman-like. There is no need for this. This would be a cruel and unusual practice to compensate for poor hunting skills. Wolves are essential to a healthy ecosystem. Without them a lot of things can happen. I am against trapping, shooting, and baiting them. Why do people so hate wolves? Those who hate are hating a cousin to our domesticated dogs. Everyone should try to see them as dogs and not something that comes from a fairy tale.